This post is brought to you by Shun Cutlery, which provided advertising support. If you’ve ever prepared our Slam Dunk Brisket, you know what it really takes to prepare this relatively simple recipe: the right tools and the patience to wait during a long, slow cooking period over low heat. With hours invested in preparation, the serving process is likely to be the last thing on your mind. But we urge you to prepare for the carving stage—next to the grill, your knives may be the most essential tools for BBQ season. 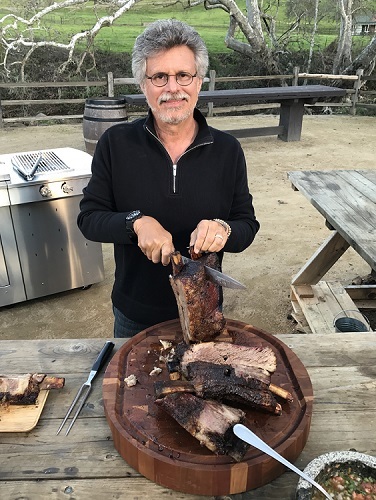 It’s the best kept secret of every famous pitmaster—the cook time for brisket can stretch as long as 16 hours, but armed with the right tools (a sharp knife, a remote digital thermometer, and unlined butcher paper) it takes only 30 minutes of actual work from start to finish. Our friends at Shun Cutlery are ready to answer your needs with premium high-performance cutlery handcrafted in Japan. 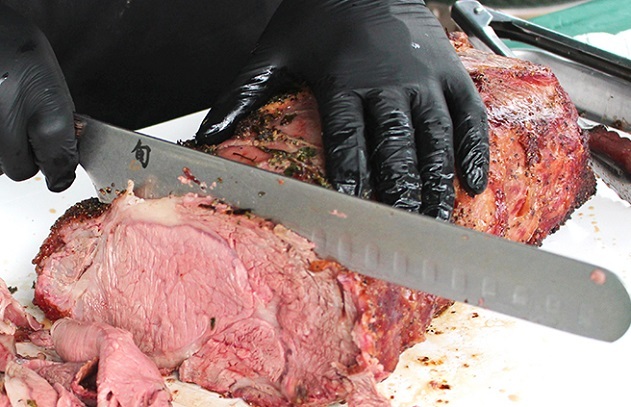 For brisket, few knives compare to the sharp edge of their 12-inch Hollow-Ground Brisket Knife. And Shun Cutlery goes far beyond brisket. The Boning/Filet Knife is perfect for removing silver skin from your loin, roast, or baby back ribs. The narrow, sharp, curved blade gets in close to the bone and handles even fibrous tissue with ease. The narrow blade also reduces drag so cutting is fast and simple. If you’re looking for a complete set, this handsome trio offers the three key knives you’ll need to handle grill-worthy proteins of all types—all in a Shun knife roll, perfect for when you take your BBQ show on the road. The brisket knife even includes its own wooden saya, or sheath. And we’re proud to say that Shun knives are what Steven uses on Project Smoke. Whether you’re a seasoned pitmaster looking to perfect your brisket, or a new barbecue enthusiast eager for the right tools, these knives will suit your needs.